1. 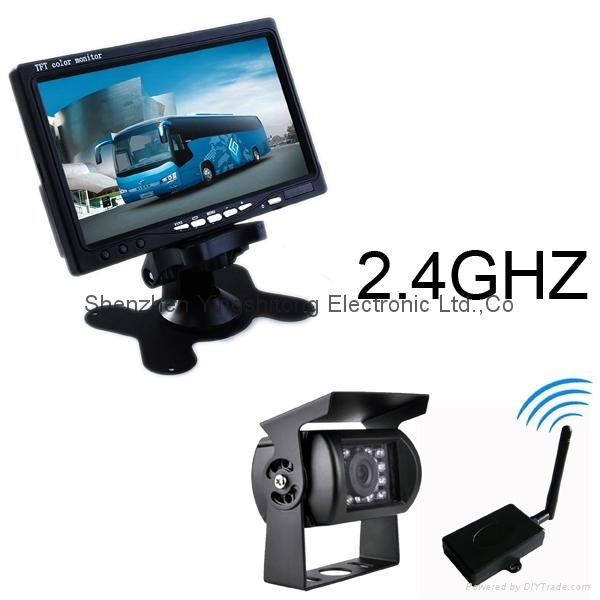 What is DIGITAL wireless rearview system? 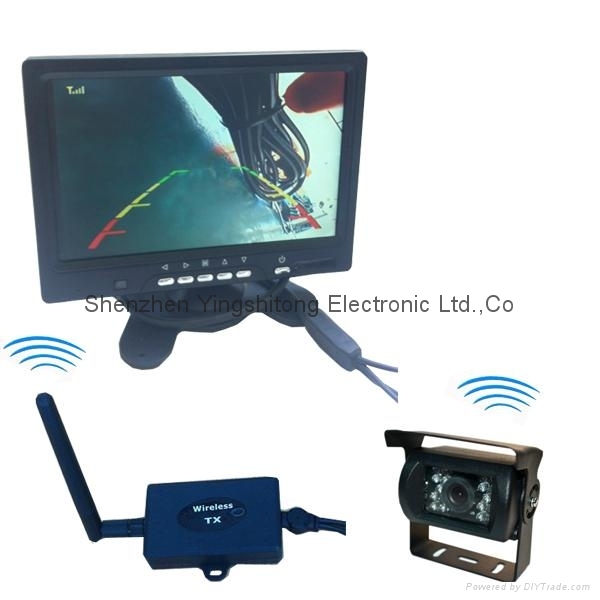 Digital wireless rearview system is made up of camera and monitor, it's video and audio was transmitted by digital wireless signal. This digital wireless camera system normally use for car monitoring purpose, normally for car rearview assistant. It can match with max 4pcs digital wireless camera, and display all video at the same time as split display on the monitor screen. 2. Is there any other wireless signal? 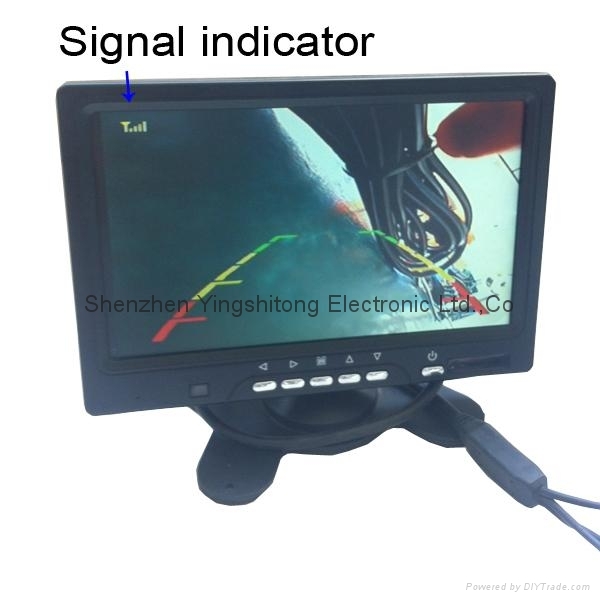 There is analog wireless signal technology at the earlier innovate invent , analog wireless still widely use in most of fields today, also in car rearview system, we still use this technology. It's advantage at real time transmitt. 3. Why we choose DIGITAL wireless? As analog signal advantage at real time transmitt, but it's disadvantage at interference: when frequency near or set at the same point, there is intereference each other, especially when there are up to 2 unit device with analog signal near each other. Monitor can receive any same frequency camera's signal. Camera's transmitter interference each other. At the case, DIGITAL wireless technology coming. 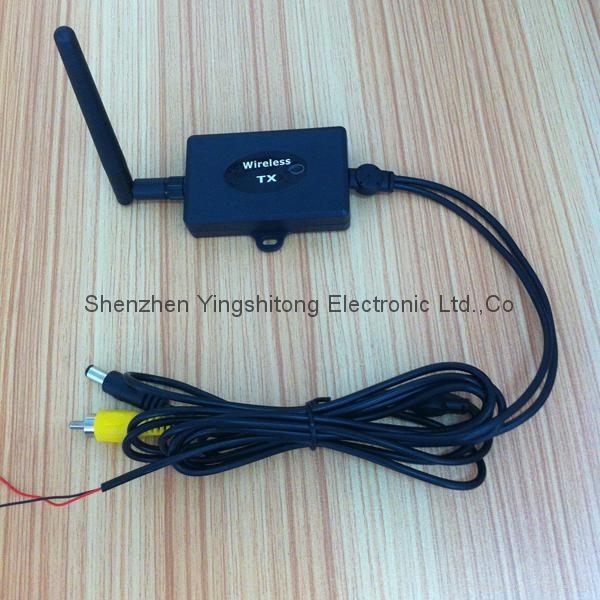 This digital wireless camera system can solve the interference problem well, every channel was encrypted, other monitor can not receive your signal and you don't need to worry about other interference. No more wire, No interference, enjoy it! FEATURES:Can be more than 100 meters valid!! !